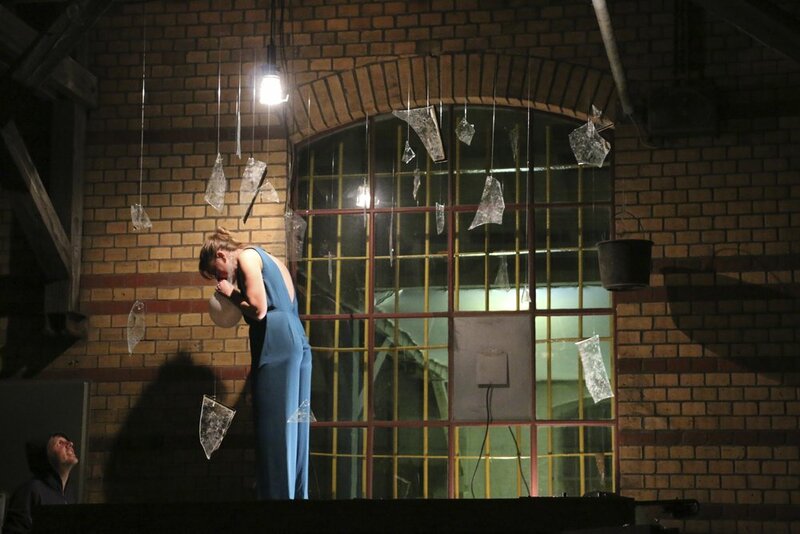 Exchange uses breath as a material to provoke an intimate encounter between performer and spectator. 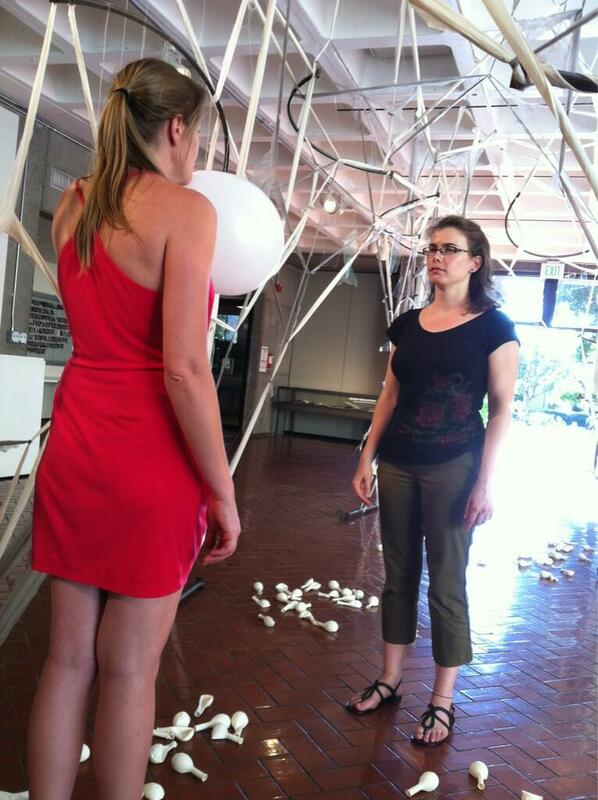 In the performance, I offer passersby a deflated balloon to blow up. I then take the balloon from the spectator and inhale their breath into my body. I exhale our combined breath onto one of the shards of glass in the installation and place the balloon on the floor. The durational performance has been performed in the lobby of an art building, on the roof of an art space, and in a public park.